A relatively new Ingles Superstore grocery store was experiencing a failure with their existing drainfield and onsite wastewater system. The store operates a full deli and food bar so the effluent was equivalent to a high volume restaurant. 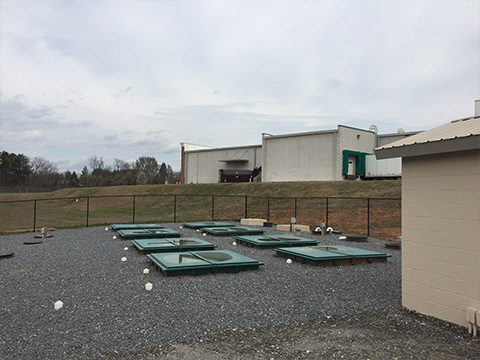 The existing aerobic treatment system was overloaded and the drainfield was in failure with surfacing effluent. BEA engineered a unique onsite wastewater system with a specialty aeration system that provides high levels of DO with low energy input. The high strength wasterwater treatment system was paired with a shallow drip dispersal system that has allowed the poor clay soil conditions to be further utilized for drainfield.